Trailer Insurance | Why Insure With Us? Trailer Protector are the UK’s leading provider of specialist trailer insurance. Competitive quotes to save you money. For trailers less than 3 years old. On this page we have collected the most popular questions regarding our Trailer Insurance cover, so that you could easily find the answer for almost any question you may have. Is immediate cover available with your trailer insurance? Yes, immediate cover is available with our trailer insurance policies. You can obtain a trailer insurance quote by requesting a quote at the top of this page. Alternatively, you can call us on 0800 612 8702 (Mon to Fri, 9am to 5.30pm). I am hiring a trailer out but do not own it, can I still insure it? No, unfortunately not. For further information about our trailer insurance cover please call us on 0800 612 8702 (Mon to Fri, 9am to 5.30pm). What is Covered with this trailer insurance policy? Our trailer insurance policy will insure you in the event of loss and/or damage to your trailer resulting from Accidental Damage, Fire and Theft. The policy also provides cover for Replacement Hire, Public Liability and 90 Days European Use Cover. Is my trailer covered whilst being towed? Yes, when the trailer is hitched to a vehicle and is being towed, it is insured under the Accidental Damage section of the trailer insurance policy. However, we will not insure the trailer for any ‘third party’ risks, such as damage to any other property and/or vehicle or bodily injury to any person whilst being towed. This will normally be covered by the insurer for the towing vehicle providing they are aware you are using your vehicle for towing purposes. The trailer may be towed by different drivers, is this ok? Close immediate family such as parents, brother, sisters, sons and daughters are automatically covered to tow the trailer, however people such as friends or other family members need to be noted in the material facts section of the policy and referred to the insurers. The insurer may increase the premium depending on the number of people added. Our trailer insurance starts from as little as £89.00 a year. The insurance premium you pay will depend on the type of risk we are insuring, as per the underwriting criteria required within our quotation proposal form. We offer a choice of easy payment methods in order to pay for your trailer insurance. We can accept various debit and credit cards. We also have a direct debit facility available over the telephone subject to the premium meeting our minimum premium threshold. What if I can’t find my trailer serial number? A trailer serial number acts as a form of identification for your property. Many trailers are similar in appearance therefore it is vital you supply us with the unique serial number to distinguish and identify your trailer. This is normally found on the chassis/frame of the trailer and sometimes on paperwork that accompanies the trailer during purchase. It can often be a mixture of letters and/or numerals. If you cannot find this, or if your trailer does not have one, it is often difficult to provide insurance for. If your trailer is stolen and not recovered or totally destroyed and is still within 3 years of manufacture, the settlement of your claim will be on current value without making a deduction for wear and tear or age of the Trailer, subject to the sum insured stated in the Policy Schedule. What security needs to be fitted to the trailer? It is a condition precedent to liability that the Trailer will be clamped by a wheel clamp or hitch lock when not in use unless being kept in a totally enclosed and secure building that is a permanent substantial structure of brick, stone or timber and has doors kept locked by a minimum of a patent 5-lever lock. 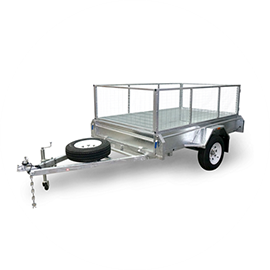 When in use, the Trailer must be clamped by a wheel clamp or hitch lock once detached from the towing vehicle. What value should I insure my trailer for? You should insure your trailer for its current market value – the full cost to replace it like-for-like. Providing the trailer is still within 3 years of manufacture, the settlement of your claim will be on current value without making a deduction for wear and tear, subject to the sum insured as stated in the policy schedule. Be careful not to under-insure the trailer as this may lead to complications if a claim is made. My trailer is custom built, can you still cover it? Usually yes, providing full disclosure is made in respect of the required trailer details. This includes providing a full make, model, serial number and year of manufacture. Does cover still apply if I rent my trailer out to someone? 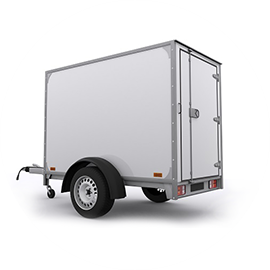 Regretfully our trailer insurance policy will not provide cover if the trailer is being rented to someone else, however as long as there is a formal hire agreement then we can provide short term trailer hire insurance for the person hiring the trailer. Is short term cover available? At present we are only able to offer a 12-month policy, however we are continually looking at new ways to meet our customer’s requirements. Does your policy cover the contents inside the trailer? Unfortunately not. Our trailer insurance policy will solely cover the trailer only. To make a claim, please call us on: 0800 612 8702 . How can I make a change to or cancel my trailer insurance policy? If you wish to cancel or change any aspect of your trailer insurance policy you will need to place your request in writing. This can be done by contacting us via the ‘Contact Us’ page on this website. What can I do if I’m not satisfied with Trailer Protector? If you are not wholly satisfied with the cover provided by your policy or the service provided by Trailer Protector you have the right to cancel your policy. Please refer to the back of your policy wording for further details of what to do if you are not satisfied by any aspect of your trailer insurance policy. Tom (pictured) was super! Really helpful, good value, went through all the info clearly and answered my questions fully. Mr Steven Cartwright (pictured) was a great help. Took his time to find the best deal for me! Shoaib (pictured) handled my policy really well. Your service is too good!